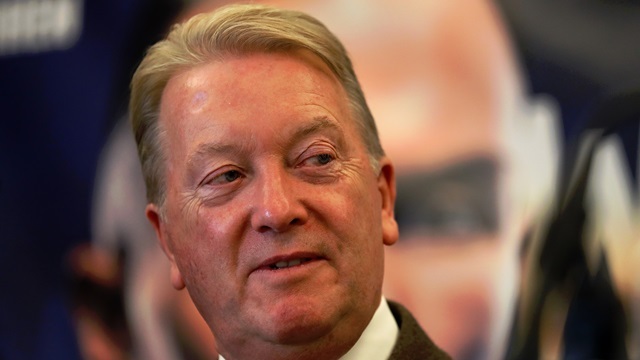 Frank Warren has rejected claims that Tyson Fury has been offered a 60/40 purse split for a clash on April 13. Eddie Hearn has come out this week and claimed to have offered Fury the opportunity to determine the best heavyweight in Britain by challenging Anthony Joshua at Wembley this spring. The Matchroom boss claimed that WBC champion Deontay Wilder's team had stopped responding to attempts to set up a unification bout and insisted that Fury was the more likely opponent for 'AJ'. 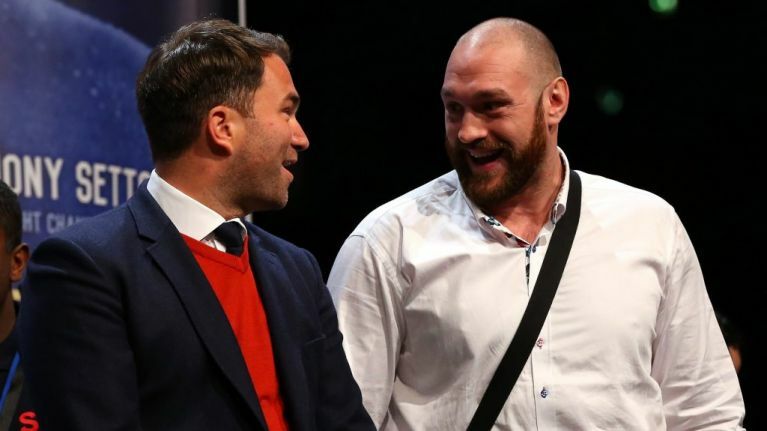 But Fury's promoter, Warren, claims that no official offer has been sent to him and while he admitted that Fury and Hearn had been in contact, he dismissed reports of a 60/40 split. "We've never had that offer, no offer has been sent to me," Warren told the Daily Telegraph. "Hearn sent Tyson an offer over the weekend but it certainly wasn't 60/40. It was quite a derisrory offer and we haven't even responded to it. "He would need 50/50, as simple as that." Preliminary talks were reportedly underway to have Fury rematch Wilder in 2019 following the pair's controversial split draw last month. Just last week, 'The Gypsy King' revealed his doubts that he'd ever get the chance to fight Joshua because he expected Hearn to want to protect his golden goose at all costs. Fury told BT Sport: "I've already beaten Wilder so that’s one down, and I’ll do the same to Joshua if given the chance. "But I don’t think it’s going to happen, sorry to disappoint the sports fans. "Everybody knows I should have won the fight." "Joshua, even with two hammers in each hand, could never beat Tyson Fury – and they know it! They know that, they’re not silly. "It’s a business as well, so they’re not going to take the fight, simple as. "They may say they’re going to take the fight, they might talk about it, but then they'll fight somebody else like they keep doing. "But that fight ain’t going to happen. I’m not holding my breath at all."